A few years ago, we held a booth at the St Louis Home Show to display our unique ranges of products and services. While there, we met a company that provides a unique service to homeowners that can modify an existing solid door to a beautiful glass door insert that often can cost about half the cost of replacing your existing door with a new door and frame. Yesterday, we attended to a returning customer requesting us to install a new replacement lock on their existing storm door (that a handyman was unable to perform) and the client spoke to us about getting a new door that included a glass window in it, to provide more light at the entry. We remembered the company we met a few years earlier and recommended them to the client, because their existing door had already been modified from a double door to a single door, but the contractor did not replace the existing double door with a new door and frame, they just built the inside staircase and walled in the fixed leaf. this would make it significantly more expensive to have the door and frame removed to install a more aesthetic entry door to their liking. Entrypoint are an interesting company based in the St Peters Missouri area that provide the unique service as described in the above video. This is a product and service that we are also exploring to beautify our own entry door at our home too. When you consider the cost to replace the door and frame with a completely new installation, modifying your existing door is a significantly more competitive option worth considering. Entrypoint's site is in the source below. We started our business December 26, 2006 and being our 12th birthday today we have decided to offer a special deal for the next 12 months. Here forward, for the next twelve months we will offer a 12% discount on any and all parts purchased through us. The 12% discount will apply only on the 12th business day of the month. February - We will be closed. Apologies. August - We will be closed. Apologies. The special 12% discount will apply before tax and is in addition to any other discount offered. The discounts apply to all purchases of parts (not labor) whether online or offline. We take this opportunity to thank our many customers for their trust and their custom. We look forward to your continued custom. Back in mid 2017, a new company formed to produce and sell an ambitious new product called the Lighthouse AI Security Camera. Well known former Google manager Andy Rubin was instrumental in the development of this technology. The company just announced that they are closing due to insufficient sales orders of the revolutionary product. The camera is powered by AI and a 3D sensor that can supposedly distinguish people from pets and recognize faces. Its onboard laser (similar to the 3D sensing devices used by self-driving cars) can measure the structure of what it sees and therefore differentiate objects and people from one another. 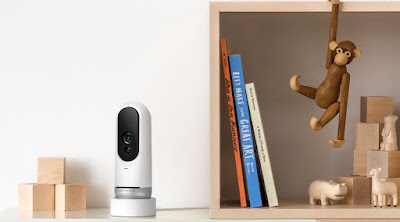 Because of this capability, Lighthouse promises that you won't be bothered by false security alerts from shadows or pets because the camera can tell small objects from large ones. The AI also understands normal speech patterns, so you can ask the camera questions like, "Did anyone walk the dog between 10 and 11 am?" The different types of tech within the camera work in tandem to deliver a full experience. "Custom optics for a time-of-flight camera that directly measures the 3D structure of the environment," CEO Alex Teichman says in a blog post. "Recurrent neural networks for computer vision specifically tailored for use cases within the home. And a natural language interface to simplify -- and amplify -- the user experience." A announcement on their website (in the source) below explains they are shutting down and closing their doors. It seems apparent that not enough customers were happy to pay $300 for each unit and a $10/month access fee for this advanced technology. The announcement thanks their few customers for their interest. 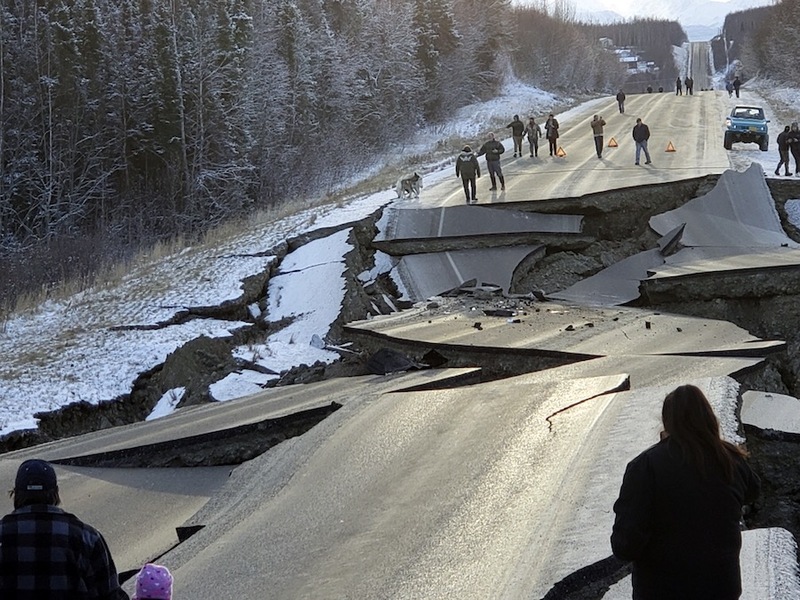 The recent earthquake that hit just south of Anchorage Alaska has been all over the news in recent days, however for some reason it appears to have been forced back from the headlines, unfortunately due to no deaths and little injuries having occurred. Reporting has been slow, especially about the fact that Alaska took it upon themselves to ensure strict adherence to the International Building Code, to shore up and protect the citizens and residents of Alaska. There is considerable, continuing discussion across my industry about building codes and life safety codes because the locksmith and door industry perform integral acts in installation of doors and lock systems that can have telling effects on all our lives. The International Building Code has been agreed upon by an international coalition of countries as a minimum standard by which all people on the planet can benefit from the safety concerns of our leaders. If you care to notice, the quantity of natural disasters appears to be on the increase in recent years, though this may also be due to better reporting by the mainstream news outlets too. An article I read yesterday peaked my curiosity and leads me to write this post. The article (in the source below) is by ABC News and tells about how the strict adherence to some of the highest standards of the International Building Code in Alaska, actually made a huge difference in protecting the residents and citizens who choose to live in that beautiful state. The article tells that the magnitude 7.0 earthquake was one of the largest recorded in state history since the devastating 1964 quake that caused monumental losses of life and properties. And that the primary reason there was little damage (comparatively), this time around was because Alaska adopted strict building code policies, some superior to the agreed minimum standards set forth by the agreed International Building Code. The article quotes the current Alaskan Governor Bill Walker, "Building codes mean something". Gov. Walker himself was very thankful for the building codes, saying that sometimes people, including himself, gripe about stringent building codes but he's really glad they are in place because he only had minor water damage in his own home. Further distressing was the after-shock that occurred within minutes of the initial 7.0. The 5.7 after-shock itself is also considered very substantial. There have been 550 plus after shocks since with at least 11 measuring 4.5 or greater. The locksmith industry is often in the drivers seat of adherence to life safety codes and International Building Code adoptions. A great many consumers desire to install some products that just do not comply with the minimum standards set forth by the code, in attempt to increase their perception of security for their homes and work places. We often are asked to install double-cylinder deadbolt locks to residents primary entrance doors, for which we refuse every time. We always advise our clients and potential clients that life safety ALWAYS exceeds security, We only recommend single-cylinder deadbolts be installed to primary entrances (like the main front door and main back door). I will often quote a story I remember from the late 1980's, when I lived and worked in California. 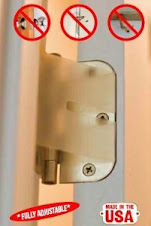 There was an instance where a burglar had broken into a home that actually had double-cylinder locks installed on their doors. The burglar had pulled some shingles from the roof and jumped in through the ceiling. Unfortunately an electrical fire started while the burglar was inside and he was killed in the fire while the house was burned down. Now, many people might think that he received his come-uppence and bad luck for him. But the investigators proved that the reason the burglar perished was due to the installation of double cylinder deadbolt locks that prevented him from easily escaping the burning building. Authorities proceeded to charge and convict the homeowner and the technician and company that installed the locks with manslaughter. The courts threw the book at these people and each convicted person received the maximum sentence available to the court of 25 years incarceration and $250,000 fine each. To top it off, the insurance company refused to compensate the homeowners for the loss of their property because "Ignorance is no defense" and to continue to insure them for clearly violating the law might have supposedly put the insurance company as an accessory after the fact. So, not only were the company who provided the locks found guilty and incarcerated, but the specific technician too, the homeowner and the homeowners family was refused compensation by the insurance company. I later heard that the burglars next of kin also sued in civil court for loss of income, but i am not sure about that outcome. This example, reiterates why, as a locksmith professional it is vital and important that we stay apprised of changes and modifications to the International Building Code and any modifications that separate local and state governments might apply in local regions. The health, welfare and life safety can depend on our being compliant with the codes written deliberately to protect us. Artificial Intelligence has grown in recent years to such a point that according to a team of 5 NYU researchers, fingerprint identification, found in many products today, including but not limited to deadbolt locks, entrance sets, electric strike user interfaces, access control and time clocks, among other modern day electronic products, is now able to contravene the once thought of high security alternative to mechanical key entry systems. We have previously touted the benefits of biometric fingerprint security scanners that were/are included in a great many differing products, including a (now discontinued) high security deadbolt lock that we sold many years ago. We realized the error of our ways, when a number of older clients were finding tremendous difficulty in registering and using the fingerprint deadbolt locks we once recommended. 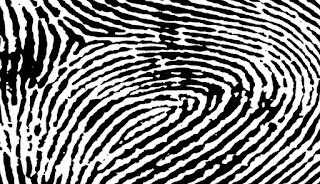 Specifically we found that if you were over 55 years of age, your fingerprints wear more quickly as you age. This proved to be an impediment to future sales of fingerprint operated biometric products because many elder users would have been the primary beneficiaries of keyless, fingerprint operated lock systems. It is obvious that Apple, recognized the limitations of fingerprint identification systems when they decided to discontinue fingerprint readers in many of their largest selling product lines, like the iPhone, the iPad and other products. Many competing product manufacturers also included fingerprint readers in a host of other products, hoping to also cash in on the once burgeoning sector of the electronics products markets. 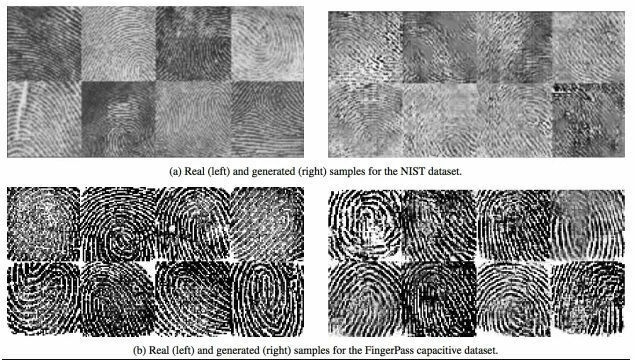 "Named ‘DeepMasterPrints’, the set of fake fingerprints was generated by the NYU scientists using a neural network to be some sort of ‘master key’ for biometric authentication systems that have an error rate of one in a thousand. To work this well, DeepMasterPrints takes advantage of two properties fingerprint authentication systems have: that they scan only a part of the finger at any given time and not the whole finger; and that some features of fingerprints are more common than others. So, the weakness in the system here, explains The Guardian, is that fingerprint scanners never blend all the partial images to match a full fingerprint against a full record. Instead, they just compare a partial scan against partial records. This means that attackers need only match one of tens or even hundreds of recorded fingerprints in order to gain access into a secured system. The scientists’ presented their research paper at a biometrics conference in Los Angeles in October. 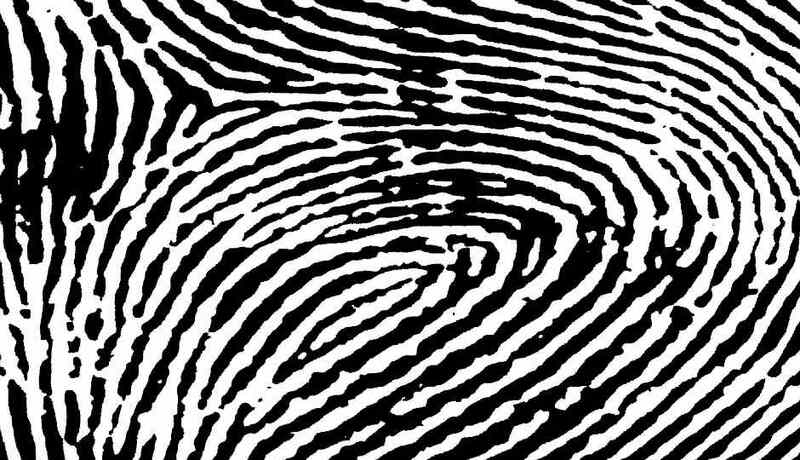 “The underlying method is likely to have broad applications in fingerprint security as well as fingerprint synthesis,” said NYU’s Philip Bontrager, the lead author of the paper in a statement to Gizmodo. “A similar setup to ours could be used for nefarious purposes, but it would likely not have the success rate we reported unless they optimized it for a smartphone system." Naturally, as a security services and products provider, we try to remain updated on issues affecting security products and services to enable us to provide our growing lists of customers with updated information regarding products and services aimed at minimizing issues and mitigating security loopholes. Apple, introduced facial recognition in many of their products, which seems to be becoming quite widely accepted across the wider marketplace. 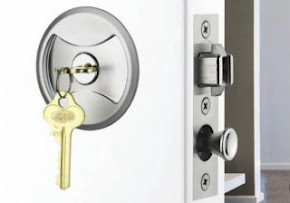 We highly recommend consulting your local trained and qualified locksmith technician, who can advise you on great quality secure products that will provide continued secure access to your properties and security systems. 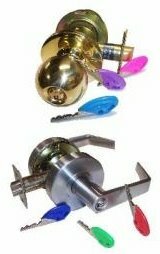 At Master Key Systems America LLC, we provide Extreme Security Bilock Restricted mechanical key systems that are virtually unparalleled across the world for bump proof and virtually pick proof locks and cylinders that use virtually copy proof, unique color coded keys. 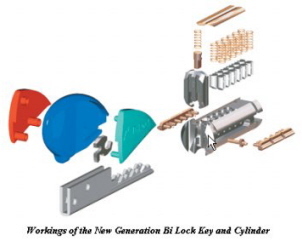 We can produce complex master key systems that can operate up to 1.7 billion separate locks. There are other brands of high security mechanical key systems that also offer quality security. 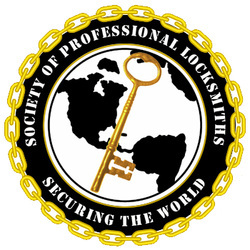 Contact your local professional locksmith to learn more. 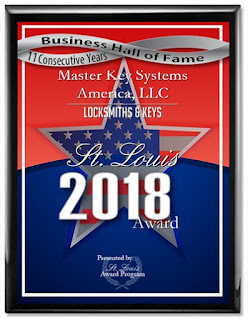 For the 11th consecutive year we have been selected as a recipient of the St Louis Award - Locksmith and Keys category. While it is nice to be recognized, we are not in business to receive awards. Our reward comes from helping our customer with their keys, locks and door issues. A copy of the press release is below and a link to the source too. 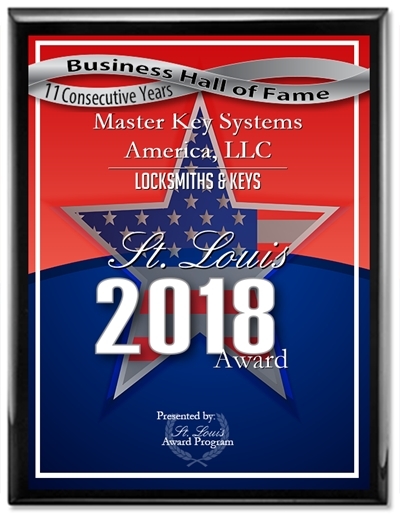 ST. LOUIS November 14, 2018 -- Master Key Systems America, LLC has been selected for the 2018 St. Louis Award in the Locksmiths & Keys category by the St. Louis Award Program. Each year, the St. Louis Award Program identifies companies that we believe have achieved exceptional marketing success in their local community and business category. These are local companies that enhance the positive image of small business through service to their customers and our community. These exceptional companies help make the St. Louis area a great place to live, work and play. Various sources of information were gathered and analyzed to choose the winners in each category. The 2018 St. Louis Award Program focuses on quality, not quantity. Winners are determined based on the information gathered both internally by the St. Louis Award Program and data provided by third parties. The St. Louis Award Program is an annual awards program honoring the achievements and accomplishments of local businesses throughout the St. Louis area. Recognition is given to those companies that have shown the ability to use their best practices and implemented programs to generate competitive advantages and long-term value. The St. Louis Award Program was established to recognize the best of local businesses in our community. Our organization works exclusively with local business owners, trade groups, professional associations and other business advertising and marketing groups. Our mission is to recognize the small business community's contributions to the U.S. economy. Has New York City Fixed It's Key Problems? A post we made in October 2012 continues to find traction and views as it is still of important knowledge to us all today, as much if not more since first written in 2012. We just updated some of the links to working links (over time websites need to keep up with their broken links to avoid the pitfalls of search engine pagerank issues) so you can view the videos and some of the links we include. Continuing to provide links to the source of our content (even though we write our own content) credits the source and avoids us being called plagiarists. Yes! This is a novelty item. Especially for the holiday season. Just say the word! This ultra-secure, high-tech safe only opens at the sound of your voice. Keep your secret treasures secure in this cool, cutting-edge safe. It would not surprise me one bit, to see a large tech giant like Amazon come out with a safe that you can activate by voice. Below you can see our page hosted on Home Advisor. 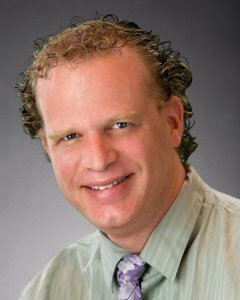 We have been continued members since 2007 of the Home Advisor network of service professionals. When the parent company of Home Advisor acquired Angie's List late last year and completed merging the two networks together, the created a behemoth in the lead generation market, a market that has seen meteoric rise since Google began their Adwords program. The early days of lead generation began with companies developing advertisements using the Google Adwords platform. At that time PPC (pay per click) was in it's infancy and costs for clicks were around 1-5 cents per click. They discovered methods through the Google architecture to use prime positioning in Adwords to build their lead generation networks, effectively raising the cost per click to prices unsustainable by small businesses alone. Then they could sell memberships to service providers and charge for customer's contact details. This opened a modern market formerly controlled by Yellow Pages and other directory advertising portals. What makes gthese lead generation companies money is the ability to sell these leads to multiple service professionals at rates significantly less than those service professionals would have to spend to acquire customers in ways past. We are lucky enough to have received 380+ reviews from customers we have served with most being 5 star, Please enjoy the page shown below and feel free to comment in the box provided beneath. Do You Understand What Makes A Safe ..... Safe? In November 2008, we posted an article (below) about safes and why/how they are constructed and regulations as determined by the most populous state in the USA. Choosing a safe is often difficult. I have been asked many times over the years to make a recommendation to customers wishing to purchase a safe. Before making a recommendation, I feel it necessary to ask some specific questions to a customer to help in determining a suitable product to recommend. Many people do not understand the ratings systems for safes, probably because there is no written industry standard. In the early 1990's, I worked for one of Australia's oldest manufacturers of quality safes, Kelly Safe Co PTY LTD. (they closed down in 1995, I believe). Kelly safes were considered a staple of the Australian landscape for about 100 years previously. They manufactured impressive quality safes for many of Australia's institutions, banks, high-society clubs, hotels etc. The increasing competition from foreign products combined with the significant increase in raw materials cost, saw Kelly become less competitive in later years. I learned much from my short time with them about how to grade safes. There are many classifications of safes that are determined by each individual country/locallity as suitable for local conditions. The leading tester in the world (most respected) is known as the Underwriters Laboratory. 1. What approximate cash value of personal documents, jewellery, bank notes etc are you looking to secure? This determines what grade of safe would be suitable for the contents. 2. Approximately how big (dimensions) would the individual pieces of content be for storage? This determines the necessary internal dimensions of the recommended safe. 3. Are you looking for Burglary Protection, Fire Protection or both? 4. Would you prefer a bolt down facility, free-standing, on castors, wall-mount, floor mount, vault etc? 5. How much are you looking to spend? The most important question is question #1, because this separates the designations of safes from each other and directly guides a professional to make the most suitable recommendation. Burglar safes are usually made of solid steel plate or a combination of solid steel and composite fill material such as concrete. These safes are divided into categories based on the level of protection delivered and the testing endured. Here we will discuss only seven classes: B-Rate, U.L. RSC Rating, B/C Rate, C-Rate, U.L. TL-15, U.L. TL-30 and TL-30 X6. B-Rate is a catchall rating for essentially any box with a lock on it. The safe industry had an unwritten standard of ¼ inch body, ½ inch door. As steel prices (and shipping costs) increased manufacturers tried many things to reduce their costs. No tests are given to provide this rating. When buying a B-rate safe, look at things such as lock work, hard plates, and relocks. U.L. Residential Security Container rating (RSC) - This UL rating is based on testing conducted for a net working time of five minutes, on all sides, with a range of tools. See U.L. TL-15 and TL-30 descriptions below for "net working time" description. This is a catchall rating for safes with at least a 1/4" steel body, 1/2 inch door PLUS additional 10 or 12 guage metal layers where composite fire resistant material is also deployed. No tests are given to provide this rating. 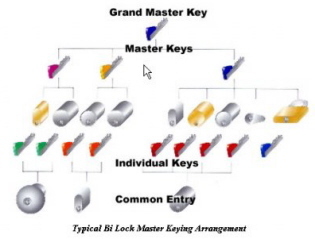 Look at the lock work, relocks and other features when making your decision. This is defined as a ½ inch thick steel box with a 1-inch thick door and a lock. As before, NO tests are given to provide this rating. Look at the lock work, relocks and other features when making your decision. U.L. listed Group II, 1 or 1R combination lock. Construction requirements are identical to the TL-15 above. Tests are essentially the same as the TL-15 tests except for the net working time. Testors are allowed 30 minutes and a few more tools (abrasive cutting wheels and power saws) to help them gain entrance. The label signifies the testors were unable to open the door or make a 6" square opening entirely through the door or front face within 30 minutes. Keep in mind these engineers have the manufacturing blue prints and can disassemble the safe being tested before the test begins to see how it works. They know their stuff. TL-30 x 6 - The TL-30 (30-minute) test is conducted on all six (6) sides of the safe. When you begin the search for a safe it is a good idea to speak to your insurance agent and see if a particular type of safe will reduce your insurance costs. Many times you can justify the additional expense of a higher security safe because of the premium reduction. Remember no safe is burglar proof, you are buying time. The longer it takes to break in the greater the chance to be caught, and thieves don’t like to get caught. The best safecrackers in the business never steal a penny. They work for UL. UL has been testing and certifying safes for more than 80 years. The first safe tested for burglary resistance was in 1923 and the first bank vault in 1925. Chisels, wenches, screwdrivers, power saws, cutting torches, crowbars, abrasive cutting wheels, jackhammers, even specified amounts of nitroglycerin are just a few of the "tools" UL technicians use during a safe attack. The idea is to test safes to worst-case scenarios. They use tools that could be found at any construction site or hardware store. They also analyze blueprints as if the burglar might have blueprints of the design and attack its weakest points to evaluate the safe for certification. UL's safe attack tests are conducted by a two-person crew. 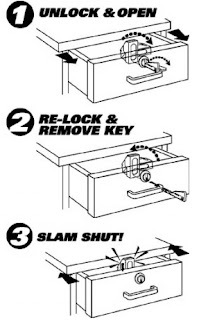 The object is to create an opening large enough to withdraw "valuables" (anywhere from 2- to 6-square-inches on a safe and up to 96-square-inches on a vault), activate the locking mechanism so the door opens or to cut as many bolts from the door as necessary to pry it open before the time specified in the rating requirement expires. Safes are rated for their resistance to attack against specific tools for a set period of time. There are a dozen different ratings, everything from ATM machines, to gun safes to bank vaults. For example, a safe that bears a Class TRTL-15X6 rating, which might be found in a jewelry store, should resist a hand tool and torch attack for a minimum of 15 minutes. A TRTL-30X6-rated safe, which would protect important documents or store money, should withstand an attack for 30 minutes. The ultimate safe rating-a TXTL60-should withstand an hour's worth of attack that includes the use of 8 ounces of nitroglycerin. Because of the size and weight of certain safes and vault doors, it is not always practical to have the product shipped to UL's laboratory locations. UL's burglary protection staff has traveled to destinations such as Japan, France, Israel, England, Finland, Taiwan and India. In addition to burglary protection ratings, UL also rates safes for their fire resistance protection. Class 350 safes protect paper documents, Class 150 safes protect magnetic tape and photographic film, while Class 125 safes protect floppy disks. In addition to the Class Rating, safes obtain an hourly rating for fire resistance-anywhere from 30 minutes to four hours. Another cool test UL runs on safes is an impact test. This test simulates a safe falling though multiple stories of a building-resulting from a fire that has weakened the structure. After the safe is heated to 2,000 degrees Fahrenheit in a furnace, it's raised three stories and dropped onto a pile of bricks. In order to meet the requirement, the safe can't pop open. Temperatures inside can't rise to above 300 degrees Fahrenheit and sample papers left inside have to be readable. The specialized suits you sometimes find technicians wearing are not just for show. Their entire ensemble, including protective coat, helmet and gloves, protects the crew against the adverse effects of sparking. After all, safety can't be taken for granted, even within the walls of UL. Safes are just one of the 19,000 product categories that UL tests and certifies. While UL's burglary protection team cracks combinations, shatters glass and fires .44-caliber bullets at body armor, other UL engineers and technicians keep busy testing everything from TVs, coffee makers and holiday light strings to fire extinguishers, medical CAT scan equipment and building materials. A little over 10 years ago we posted an article (below) that included a video about quality versus garbage products, that has seen a significant number of page views and continues to be on of our multitude of viral posts. The post was titled "Big Box Store Or Product Specialist?" In the last 10 years, Amazon has grown to become one of the most competitive marketplaces for goods available. they have almost taken over from Wal-Mart, Home Depot, Lowes, Target, K-Mart, Sears etc, among other companies that have failed as a consequence. REMEMBER: You only get what you pay for! And "if you only want to pay peanuts, expect to get monkeys!" We just acquired the entire inventory of a closing Bilock dealer in USA. We will be contacting their clients soon to maintain their security systems and continue to offer them parts and services. Being the largest Bilock dealer in the Midwest, we continue to supply these sensational 100% bump proof and virtually pick proof, copy proof keys and locks to discerning buyers intent upon maximizing the security of their homes and offices. We will soon be offering a steep discount on some of the acquired inventory. Bilock continues to provide up to 1.7 million key changes in a master keyed system. Color coding the keyheads enables simple and quick identification and separation between doors, locks, buildings etc. 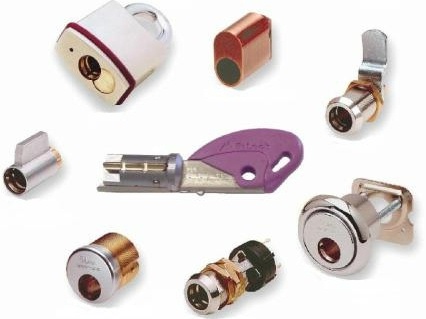 Using the unique Quick Change Core technology, users will not require to disassemble and reassemble any cylinders or hardware, when the need arises to have your locks rekeyed. The 21 different colored keyheads allows us to design unique color coding for systems that allow users to quickly identify the correct color used for the correct door or for different levels of master keys to operate separate key cylinders. The 21 colors and shades, comprise 3 separate parts allowing potentially over 9000 color combinations by mix and matching pieces. This can be of benefit to users significantly. The unique OEM (Original Equipment Manufacturer) product pictured in the diagram here, displays the Slam Cam deadlatching cam lock. Perfect for steel cabinet doors or drawers, it allows for unparalleled cabinet and drawer locking strength. The added ability to include these locks in your Quick Change Core system, makes this product a sought after item. With the key only able to be withdrawn in the open position, losing your key or leaving it unattended is virtually avoided. The 4 main cylinder types include key-in-knob cylinders used in entrance sets and deadbolt locks, padlocks other OEM products. 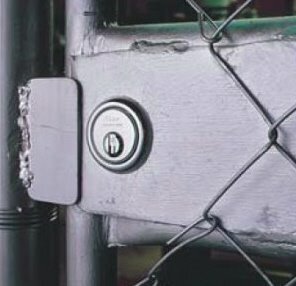 The Rim cylinder is seen in surface mounted panic bars, surface mounted nightlatches, surface mounted deadlatches, jimmy-proof deadbolt locks, gates locks (see image below) among other uses. The Grade 2 Deadbolt offers high quality security in a competitively priced package. 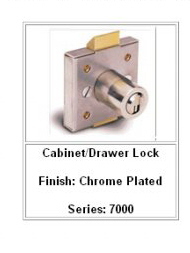 Typically the OEM Bilock Grade 2 deadbolts are available in Polished Brass, Satin Stainless Steel, but we also happily provide cylinders and cores that will suit other brands of harware including (but not limited to) LSDA - Antique Brass, Bronze, Chrome Plate, Yale, Schlage, Arrow and other leading brands. This is a closer image of the typical rim cylinder. 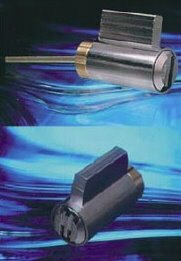 The wide range of Key-in-knob cylinders allows use in deadbolts, entry knob sets, lever handle entrance sets, storeroom door lock sets, classroom door lock sets, sliding patio door lock sets among other uses. This image displays the common core that will fit into many different and separate cylinder housings. See the key inside the core? That core will fit into all the surrounding styles of cylinders, meaning you can have 1 single high-security bump proof and virtually pick proof key system that will operate across multiple brands and hardware needs. 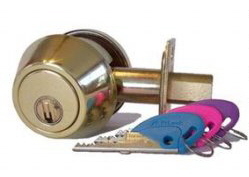 Padlocks, Oval Cylinders, cam locks, Entrance Sets and Deadbolts, Mortise Locks, Rim Locks, even electrical switches. The unique Bilock system is almost limitless in it's applications. 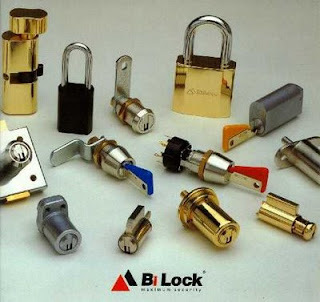 The Bilock Range is quite vast and useful in display case security, Euro cylinders, cupboard deadlocks and latches, padlocks of differing sizes and materials, all conveniently controlled by one unique bump proof and virtually pick proof key. See the 3 sections of the key head? 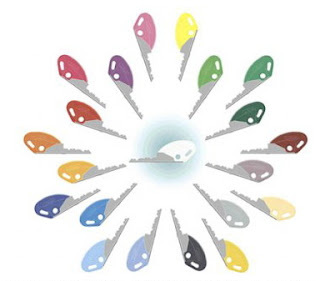 we can put together separate colors to help you identify your keys easily. Even push projection locks can be used to secure hard to lock wooden drawers, Bilock products leave no options out. We have been continually offering Bilock products throughout the world for almost 35 years now, having installed this fabulous system to casinos, hospitals, clinics, universities and colleges, private and public schools, bars and restaurants among many and varied applications. Customer choose Bilock for it's unique looking key and the wide range of products that can be secured. The current seasonal shift is well underway, no matter what part of the planet you live on. Of course with the northern hemisphere changing over to Winter, so come the inevitable virus', colds, flu, pneumonia and other potentially life threatening illnesses. An often over looked issue, that faces all of us regularly is the transference of potentially harmful pathogens that can occur when differing users might touch or operate a door handle, safety bar, handrail etc. Do you know who touched the item before you? Do you care? A little over 7 years ago we wrote an article about the recently released (at the time) blockbuster movie, starring Matt Damon and Gwyneth Paltrow. We included the preview in our article too. (See the article we wrote in October 2011, below). When you go to a hospital or medical clinic, you hope that the managers of such public places care enough about the health and welfare of their consumers to have policies and rules in place to mitigate any harm potentially caused therein, right? I'm sure you have seen and continue to see many private and public places include a pump bottle of hand sanitizer near a restroom and often signs posted inside a restroom requiring employees to wash hands prior to handling food or after using the facilities. This modern day policy stemmed from the outbreak of the highly contagious H1N1 virus that threatened many thousands of people all across the planet. Luckily the quick action of governments worldwide and especially the CDC in America, stemmed the threat, but not before thousands of people, animals, birds etc, were slaughtered or died. See our post from October 1, 2011. Just last week my wife and I went to see this movie. I found it to be one of the most entertaining suspense filled films I have seen in ages. It stars Matt Damon, Gwyneth Paltrow, Kate Winslet, Lawrence Fishburne and a gaggle of other big name stars. The storyline involves a woman who returns home to the USA from abroad who has been in contact with someone who passed on a virus to her. Anything or anyone she came into contact with seemed to also contract the contagious virus. To make a long story short, many millions of people become infected and die before a cure is found. The realism in this fictional movie was astounding. The film director makes the audience feel that the whole scenario is entirely plausible and probable. The recent bird flu and H1N1 virus' that the world contracted in the last couple of years, makes this film even more realistic and topical. Why do I post this review here? I am the exclusive USA importer/distributor of the sensational Serrature Meroni brand of locks and door and cabinet hardware from Italy. Serrature Meroni, a few years ago introduced a unique line of inventory that includes especially designed anti-bacterial polymer door knobs. These handles minimize the potential impact of transferring diseasebetween people. Virtually all people touch a door knob to operate a door at home or work or the doctors surgery or a hospital or any other public building, in order to enter or exit a room or the building. All people rarely consider the likelihood of catching and spreading germs from unknowingly touching a surface that a possible infected carrier has also touched. Remember when those recent well known virus' (Bird Flu and H1N1) were breaking news all over the media? Pharmacists, grocery stores and merchants everywhere suddenly began selling notoriously huge amounts of hand sanitizers and similar products. Many institutions enacted strict policies forcing people to use hand sanitizers as often as possible and some even required employees to wear face masks to minimize the potential spread of airborne diseases. The realism of the movie Contagion, made me think about how easy it would be to spread disease. But thanks to forward thinking companies like Serrature Meroni, we can now rest easier with the assurance that forward thinking home owners, hospital management, doctors surgeries, chemical research laboratories and other concerned proactive people, are taking steps to protect their customers, staff, friends and families from the potential deadly side effects of unknown or even known virus'. We organize categories or subject headings or labels on the right side of this website, where you can view all the articles we have submitted under that label. One of our more popular labels/categories we find to be Antique Locks. Sargent & Greenleaf are arguably the second most well known lock industry brand. Right behind Yale. Their history dates back to 1857, when young James Sargent, an engineer with Yale & Greenleaf, decided to branch out on his own with his invention, a magnetic dial combination lock. Halbert Greenleaf was the partner and financier (known today as Venture Capitalist) of Linus Yale Jr. Yes, the same Linus Yale Jr credited with the invention of the modern day pin tumbler lock cylinder system, which was awarded it's patent in 1865. Their joint company was called originally Yale & Greenleaf. Halbert Greenleaf ended his partnership with Linus Yale Jr. at the outset of the American Civil War to become an officer in the Union army. After completing his service, Halbert sought out his former employee James Sargent and decided to finance his company, creating what we know today as Sargent & Greenleaf. The above 7 minute video gives a brief history of the evolution of the company from it's roots. It is interesting to see in the video, some of the products that Sargent & Greenleaf produced, many of which are still in operation today in the field. Products like the reversible panic exit device, door security bolts, entrance door hardware, push/pull plates among others. Below find a 15 minute industrial video from the 1950's that shows the production of Sargent & Greenleaf products. There are about 13 separate articles appearing under the Antique Locks label, of which you might be interested in reading some of them in the list. Just click on Antique Locks here or on the link in the categories menu. Feel free to comment below or on any individual page. We accept links to your sites in your comments, although please remember that comments are subject to moderation. Almost 10 years ago we wrote an article about some facial recognition technology and especially one particular product that we also sold a number of. The post we wrote in December 2009 was one of the last posts that year, but proved to be wildly popular. I dont know why exactly. I have sold about 4 of these units and I believe my customers are still using them today. I have been touting the use of biometric access control systems, especially residential fingerprint controlled door locks, for quite some time. Recent experience installing some of these products has lead me to understand some of the pitfalls of the technology, especially age related syndromes that affect interface operation by elder users. 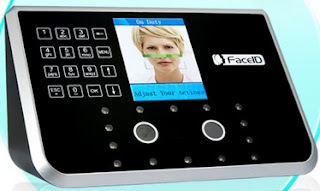 Here is a new product, recently released that adopts a variation in biometric access technology. Facial recognition technology is still in it's infancy compared to other existing biometric systems (like fingerprints etc). Embrace the world of advanced time attendance systems. Beautifully designed to compliment any imaginable décor, this facial identification time attendance system recognizes faces in 3D by utilizing the internal dual sensor and dual camera that allows it to establish an incredible facial recognition algorithm in a fraction of a second. A little over 5 years ago we posted the article below and have seen significant numbers of pageviews therein. The issue of scammer locksmiths continues to plague the wider consumer market, but it's not just locksmiths. It is also a number of other once highly respected industries too. In the article below, there is a video by #ABCTHELOOKOUT which was a current affair series exposing nefarious alleged scammers in a host of differing services. We still advise all our customers and all consumers to be cautious when choosing your desired professional. We have warned consumers many times over the past 5 years about the slew of scammer companies posing as locksmiths ripping off victims, all across the United States and Canada. These perpetrators are now invading many other countries operating similar scam operations in Australia, New Zealand, Great Brittain and other European countries. This news is not really news to the locksmith industry but thanks to the Network Television companies, like #ABC, prime time television now has provided a much wider net to expose the shenanigans. The leader of the company operating these scams has finally been exposed, thanks to the in depth investigation and reporting by the team at #ABC's The Lookout, a highly acclaimed television series developed to provide the marketplace with expose's on many ripoff artists scamming consumers across the USA. Meni Agababayev is the name of the owner of this company. The video above is the whole episode from this weeks #ABC's The Lookout, but the actual story we are referring to runs for the first 20 minutes.